Upgraded version of the famous Ferrari licensed game. It offers: 10 cars including 2 new ones (250GTO and 512BB), 15 new courses set through the USA, 14 musical themes (including OutRun and Turbo OutRun original soundtracks). The player can now choose between two handling modes: normal or tuned (faster). Other new feature: it's now possible to use another car's slipstream to quickly gain speed. Crashes are also more forgiving. These two points make the game more nervous than the original version. The best drivers can enter the wordwide internet ranking. For more details, read our review. 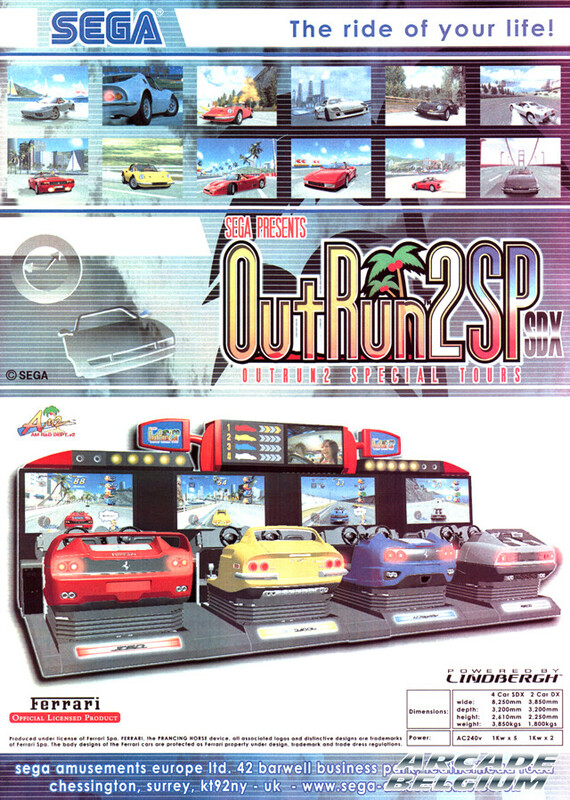 OutRun 2 SP exists in twin, deluxe and super deluxe 2 or 4 cars cabinets. Twin and deluxe versions are linkable up to 4 players. 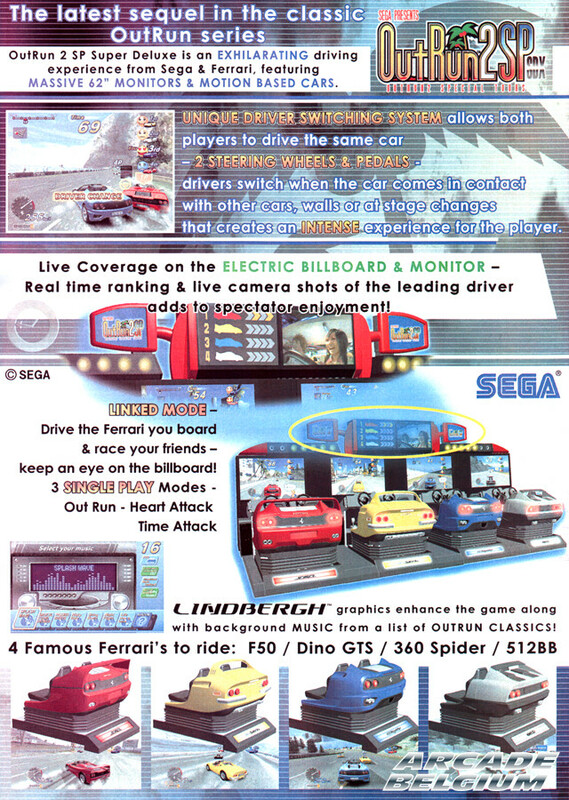 An upgrade kit for OutRun 2 is also available. Format: kit, twin, deluxe, 2 cars super deluxe and 4 cars super deluxe cabinets.